If you do nothing but hope your life will change, it won't. Be certain it will change when you work with me. I believe in you. 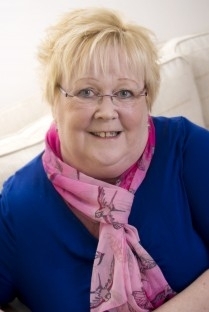 Maggie Currie is an internationally renowned, and much sought after professional Transformational Coach and Consultant, published author and radio presenter who has spent more than fifteen years learning her skills and working with clients throughout the UK and worldwide from her base on the Isle of Wight. She is one of the best coaches in the world, and is one of the top 10% of coaches in the UK. She is the founder and a director of Break the Cycle Community Interest Company working with people escaping from abusive relationships, with anxiety and needing to re-find their self-worth. Additionally Maggie is the founder and CEO of Essential Secretarial Services providing ad-hoc secretarial and administration help to SMEs and individuals. Maggie is also a tutor at the Blackford Centre helping distance learning students gain their Life Coaching Diplomas. Working with Maggie and learning to live life like you and not how you think other people want you to be will bring you more freedom, more fun and less stress. Please get in touch with Maggie today for a free conversation about what it is you want to achieve. Maggie will deliver the goods and help you get the results you want. It’s time to really invest in yourself. Maggie also works closely with people who have been in abusive relationships, homeless people and those suffering from anxiety. Find out more about her sister company ‘Break the Cycle’ here. Maggie’s teaching, mentoring and coaching services are all designed individually so it’s good to have an initial chat to explore ideas and see what might be the best fit for you. If you do nothing but hope your life will change, it won’t. Be certain your life will change when you work with Maggie. "Lovely comments from one of my distance learning students: "Would like to take this opportunity to thank you for the time you invested and your promptness in assessing my work. Also would like to tell you that I found your feedback for all the assignments very helpful and also it was very specific & clear." "Oh, what a wonderful call I just had with Maggie, she has a way of coaxing out of me things and putting others in proper perspective. Feeling so much better, the little residual of melancholy about the fourth of July was gone by the end of the call. Great feeling letting it go. Now to get on with the rest of the day I am feeling very upbeat'."